Baltimore’s school board starts a debate over arming city’s School Police Officers. The board is asking some public interest before it will take a position about the issue. During the debate that took place 3 years ago, a bill authorization was asked from legislators to introduce, after that the public will have it considered. The debate was between some high-profile incidents of school police which could be caught on video. For today’s debate. The police chief said it’s been 2 years the Civilian Review Board never got an excessive complaint of a student and police officer interaction. After the fact, the role of the police officers in the school was not well defined as they must be there to protect students from people coming from outside or manage discipline. 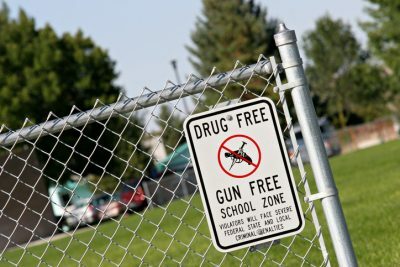 The examples where officers carry guns at the school is necessary are not common, and the possible negative results can’t be ignored, such as physical or psychological ones. The president of the school’s police union, Sgt. Clyde Boatwright shows the examples of the Parkland School shooting and Great Mills shooting as a way of seeing the benefits of having armed officers within the school. But those two are not good examples for armed officer justification. Another example from Mr. Boatwright was the incident taken place at Maree G. Farring Elementary/Middle School where two students brought guns and one of them was shot in a bathroom. There is no guarantee, how an armed officer would help the situation. How they can control the incident as two students were involved in this stupid game which could have ended up critically. Any officer, be it trained for certain situations or not, makes mistakes. Sometimes, students take guns from officers’ holsters or they leave the guns is not a safe place. In other cases, officers accidentally fire the gun, and no one can be blamed but them. Another view is that Baltimore is considered to be among the most violent cities in the USA, and there are many students who are not getting along with each other and in general their numbers are big. Baltimore is battling against excessive use of force, and the sight of an armed officer may be more traumatic than comforting for many students. There is no doubt that the challenges remain because there are other opinions of armed officers to be safer than the opposite. However, the Baltimore School Police is improving while years are passing by and that’s visible.